Home » Photo in the News: Alien Appears in Duck X-Ray? Photo in the News: Alien Appears in Duck X-Ray? As if bird flu fears weren’t enough to make ordinary waterfowl suddenly seem creepy, now there’s this: an x-ray of a duck with what looks like an alien hiding in its gut. 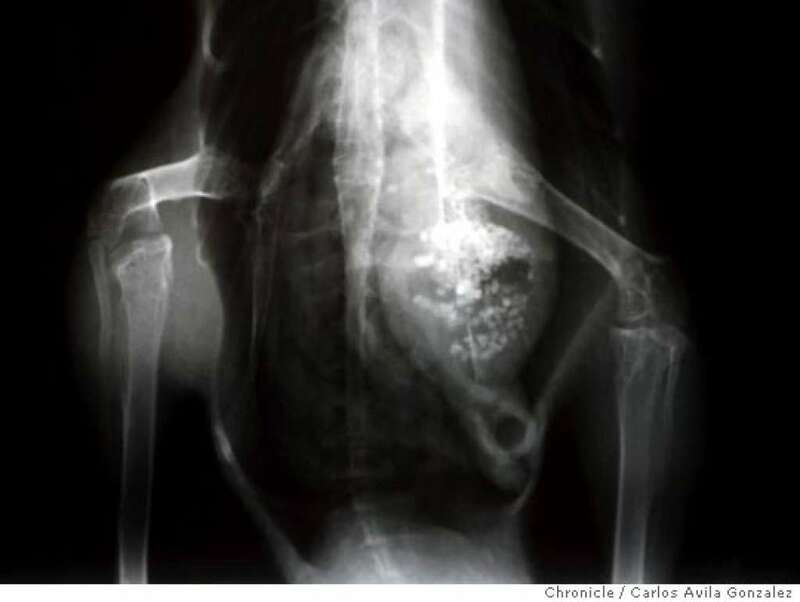 Workers at the International Bird Rescue Research Center (IBRRC) in Fairfield, California, took the x-ray May 21 while treating a mallard duck that had been found with a broken wing. The scientists—not likely prone to feats of imaginative fancy—were surprised by what they saw: a head snarling at them from within the bird’s gizzard (see lower right of photo). “We’re a 35-year-old organization, and we’ve seen a lot of things—bullets, fish hooks—but this is the first time anything like this has shown up,” IBRRC executive director Jay Holcomb told the San Francisco Chronicle. The center’s experts say there’s no telling for sure what created the eerie image. Holcomb said he suspects it was caused by grains of food in the duck’s digestive system. This explanation, rather than a bird-borne alien invasion, seemed more likely when the duck died from its injuries soon after the x-ray was taken. An autopsy revealed grain in the bird’s belly and little else. But the duck didn’t die in vain: IBRRC has put its curious x-ray up for auction on eBay, with all proceeds benefiting the center’s bird-rehabilitation program. “The poor duck died, but maybe this will help other animals,” Holcomb said.